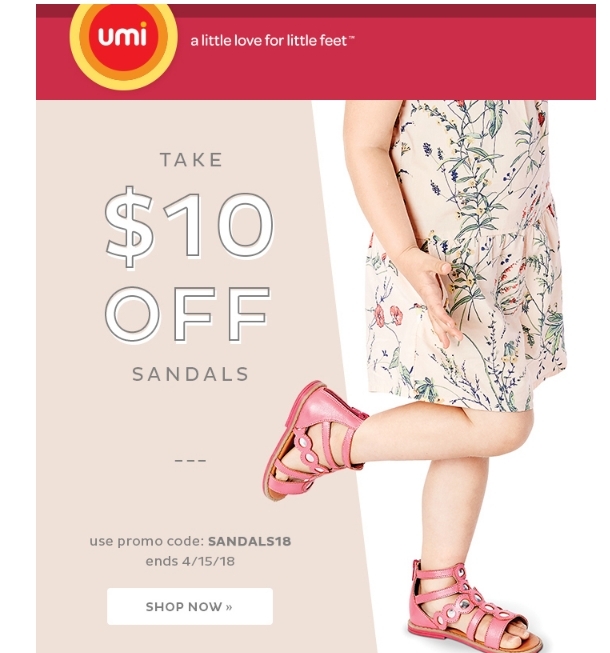 Laura DeLuca Take $10 off sandals when you use promo code "SANDALS18" during checkout. Offer only available at www.umishoes.com. Expires on 4/15/18. Offer cannot be applied to previous purchases or the purchase of gift cards and cannot be redeemed for cash or used in combination with any other offer.